 Established in 1991 by Mrs. Rita Schumacher as a woman-owned business, Action Communication Technology, Inc. (ACT) first emerged upon the Houston telecommunications scene as a contractor for the largest telecommunications companies in Houston (Williams Communications, now BlackBox; Southwestern Bell, now SBC; GTE, now Verizon; and Fairchild Communications, now Shared Technologies). At that time ACT was hired to do turn-key installations of telephone systems, voicemail systems, computer telephony integration (CTI) and most fittingly – voice, data, video and fiber cabling infrastructures. Since then ACT has become Texas’ first choice for professional cabling services. Mrs. Schumacher holds the primary certifications in programming and training of the Nortel Networks’ product lines. She has been in the telecommunications industry for over 15 years. Rita has trained system programmers for Verizon and Williams Communications (NextiraOne). Rita delivers the knowledge that customers need to utilize their investment in their communications systems to the fullest extent. ESI IP 900 Business Phone System is the most versatile solution for Small business needs. Effectively market your companies products and services with customizable music/message-on-hold. Direct your customers to your site location, business hours or services with information mailboxes. Fax and Credit card machines and be easily integrated using standard phones lines. Enhance your Communication today by calling us for a free demo. Mr. Schumacher holds multiple certifications, primarily in voice/data/video cabling infrastructures. He has been in the telecommunications industry for over 25 years. He is certified/qualified in Project Management, Fiber Optics (inside and outside plant), low voltage distribution system analysis and design, campus/building systems analysis and design. Jimmy has held positions with Williams Communications as the Director of Customer Service and as Operations Manager. Jimmy provides our customers with Best-in-Class service during all installations and projects.